♥ I’m nursing a small crush on Danish fashion illustrator Christel Marott‘s work as of late. 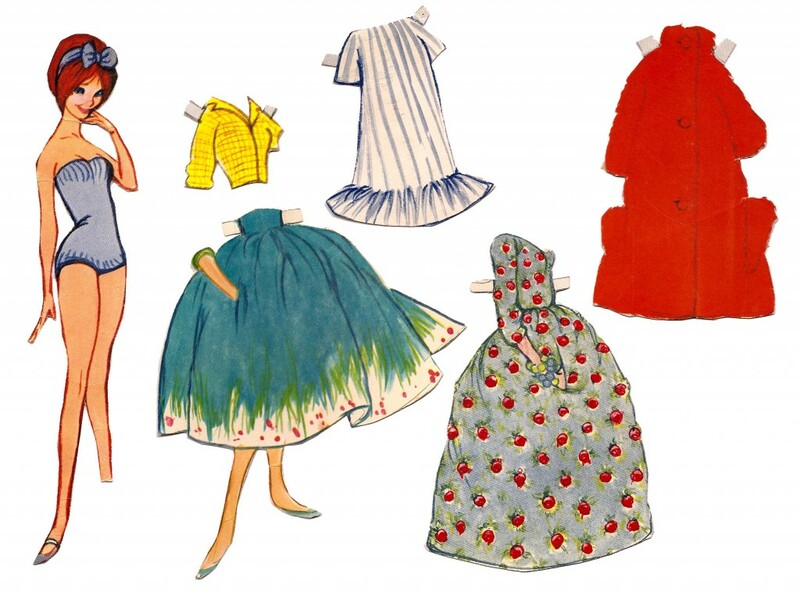 It’d be a happy miracle to find some of her paper dolls on a dusty thrift-store shelf. ♥ I rock a three-bun variation of this hairdo almost every week and net a lot of nice compliments and inquiries when I do. As the video illustrates, it’s ridiculously easy; perfect for second day dirty hair and hurried mornings. ♥ I’m determined to stretch my skillz as a baker and make a batch of these. If anything can get my over my fear of using yeast, it’s my love for pumpkin-flavored baked goods. ♥ Transform a dowdy thrift-store skirt in 30 minutes? Yes please! ♥ Holy cow, this shirt. ♥ The first installment of The Beauty Department’s Halloween hair how-tos is pretty awesome. ♥ I guess now that I’m officially a “cat person,” I need cereal bowls with kitties in them, right? ♥ Speaking of critters, how rad is this round-up of animal print pretties? I want them all…the orange camel dress especially. This entry was posted in Uncategorized and tagged clickin' around by highplainsthrifter. Bookmark the permalink.